On June 23, 2018 in Bridgetown, Barbados, General Carlos Ramiro Mena Bravo, on behalf of the National Colombian Police, presented Mr. David Miscavige, ecclesiastical leader of the Scientology religion, with the Brigadier General Jaime Ramírez Gómez Inspector General Transparency Medal. The National Colombian Police honored Mr. David Miscavige with one of their most prestigious awards—the Brigadier General Jaime Ramírez Gómez Inspector General Transparency Medal—in recognition of his leadership in helping bring about social change within the nation through the work of the Church of Scientology. The ceremony, held dockside in Bridgetown, Barbados at the closing of the annual Freewinds Maiden Voyage Anniversary celebration, recognized Mr. Miscavige, ecclesiastical leader of the Scientology religion, for “courage, bravery and honesty.” Mr. Miscavige was thanked for devoting resources to bring messages of peace and reconciliation as well as making other contributions to Colombian society through the outreach programs of the Church. 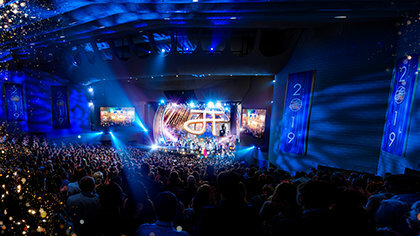 “There are more than enough reasons to give this medal to the person who is leading this great Organization of Scientology,” General Mena said. 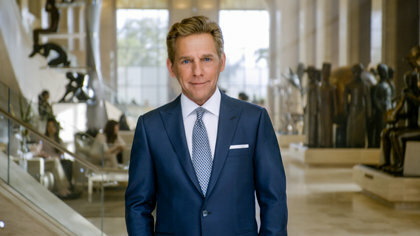 “The National Police praises, acknowledges and materializes our great gratitude for all the training, motivation and respect Mr. Miscavige has given, not only to every police officer and Colombian military officer, but to every citizen that has benefitted from L. Ron Hubbard’s technology and the humanitarian campaigns he inspired.